AC-RP5G3-UK 3rd generation KRK RP5 G3 monitors utilise new bi-amplifier and speaker design for professional quality sound in the studio. AC-RP4-G3 KRK RP4 G3 powered studio monitor offers sonic precision in a stylish compact cabinet with 30w of built-in amplification. 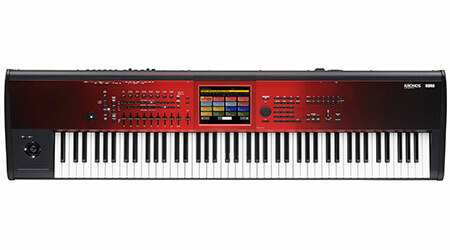 We recommended this monitor for smaller studios or enhancing sound for example on keyboards. AC-RP4-G3Bundle KRK RP4 G3 powered studio monitors are ideal for home studio use and home amplification for keyboards and synths. The 4 inch woofer and 1 inch tweeter offers incredible sound yet a compact cabinet size. AC-12S2 Powerful active subwoofer with 12 Inch speaker. 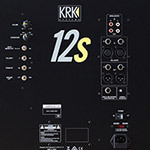 The KRK 12S offers re-desigend Class D amps which fofer more power and better heat handling. 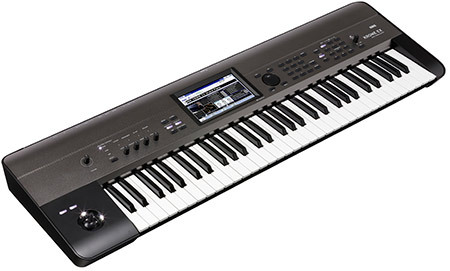 This is combined with a new 4 way switching crossover and results in incredible tight bass to enhance your audio setup. 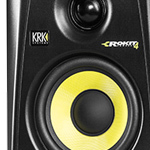 AC-KRK10S2 Powerful 10 Inch Active Subwoofer -Take your sound quality to the next level. 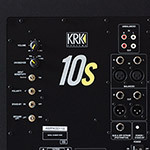 The KRK 10S 2nd gen offers re-designed Class D amps which elevate the power while slashing weight and heat, and meticulously re-voiced speakers deliver tight, defined bass with selectable, optimized crossover frequencies to provide the perfect complement to existing monitors. 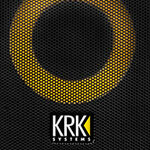 AC-KRK8S2 Compact 8 inch active subwoofer with tight defined bass and 109w of pure power. Features 30hz to 205hz range and 4 position crossover with multiple connection sockets for connecting your gear. AC-RP5-G3P Providing the great sound as the regular KRK RP5 but with a stunning Platinum finish. 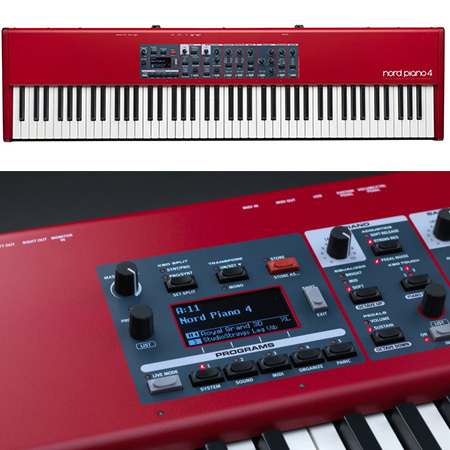 The RP5s utilise new bi-amplifier and speaker design for professional quality sound in the studio. 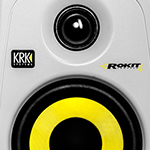 AC-RP4G3W-UK Compact in size and big in sound the KRK RP4 G4 studio monitors in white look and sound fantastic. Order on-line today. 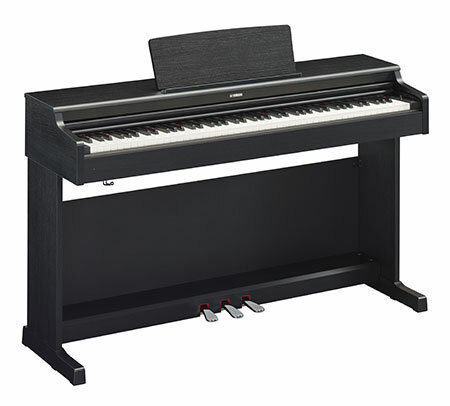 Warranty and free mainland UK delivery included. AC-RP4S-G3 Great looks, stunning sound. 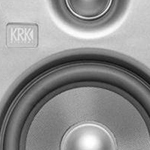 Get the KRK RP4 Silver today. Excellent compact studio monitor with 30w bi-amp system for precision monitoring. Finance available. AC-RP6G3-UK KRK RP6 G3 Monitor - Black. Professional quality with built in bi-amplifier and high quality speaker design for incredible sonic performance. 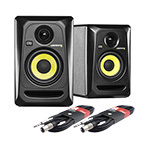 AC-KRK-RP10-3 For larger studios and precision monitoring the KRK RP10-3 offer a 10 inch woofer, 4 inch mid range and 1 inch tweeter speaker combination. AC-VXT4 KRK VXT4 active studio monitors are designed for extreme precision. 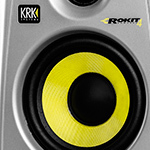 AC-Rokit6G2 KRK RP6 G2 active monitors are professional quality, flat response studio monitors.